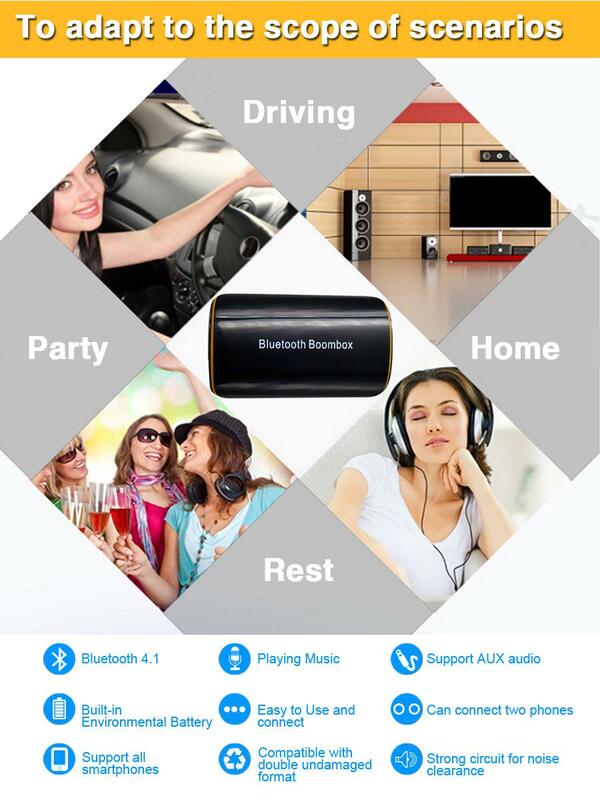 Magical Function: The Bluetooth Receiver Change the traditional Speakers into Bluetooth-enabled ones. 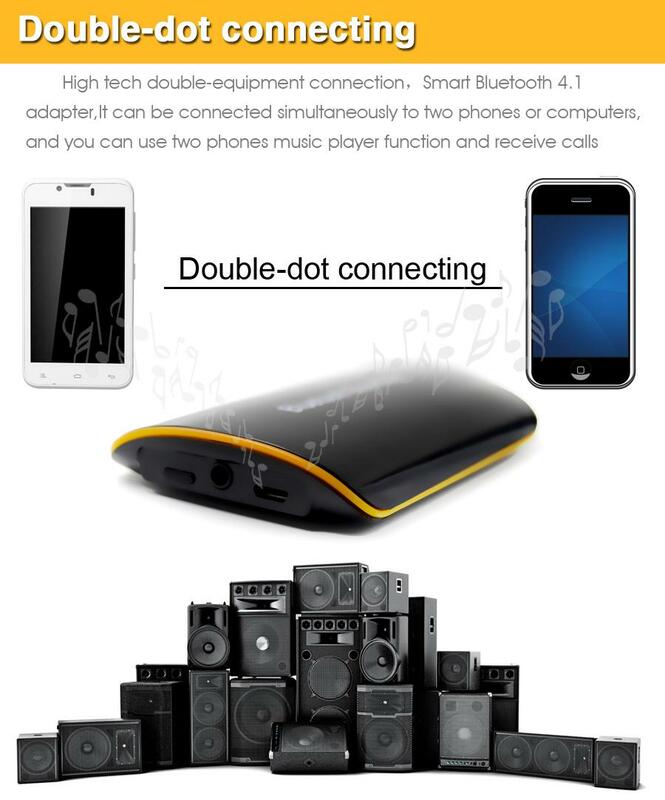 After paired, play music wirelessly from your Bluetooth-enabled Smart Phones, Laptop, Tablet, etc. Support Automatic Re-connection. Great Hardware: Bluetooth 4.1 + EDR ensure stable signal, super-fast data transmission and high-fidelity stereo sound. 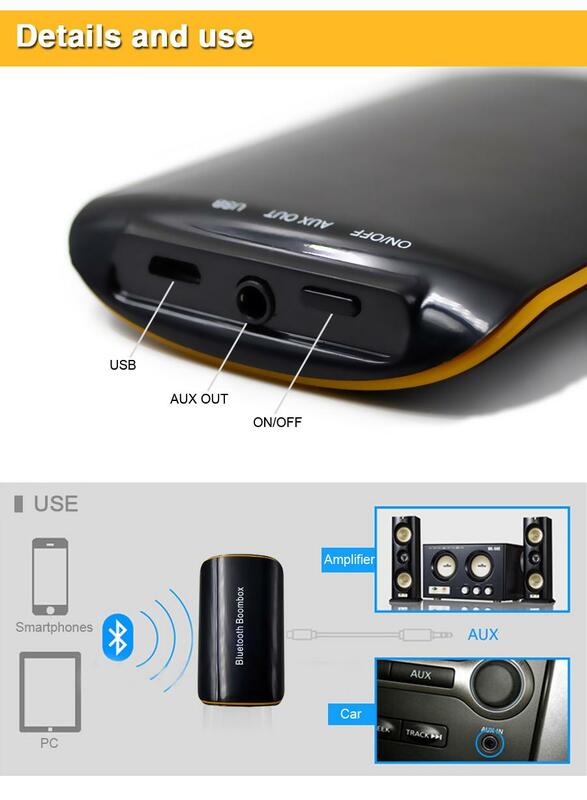 Compatible with Most Speakers: Connect the Bluetooth Receiver with any Audio Input Devices, Stereo System (Car Stereo Systems, Home Audio System) & Speaker through standard RCA or 3.5 mm jack . Integrated Multi-point Technology: Can simultaneously connect two smarts phone. Also Support Voice Prompt. Embedded 48MIPS Dual MAC DSP co-processor. Support Noise Suppression and Echo Cancellation, offering you Magnificent Stereo Sound & Wonderful Sound Quality. Compatible with Lossless Audio Format; Support Stereo Codec; Support AUX Output. Superior wireless performance; Transmit up to 30 feet away with line of sight. 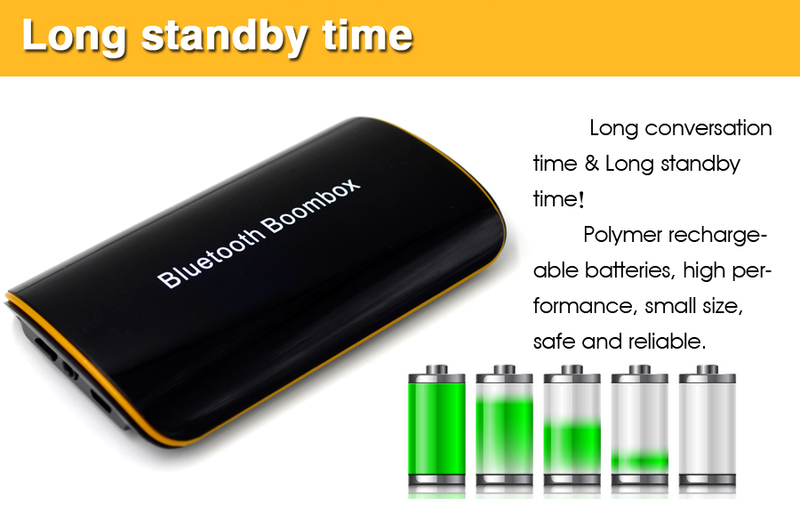 Perfectly Compatibility: For iOS / Android Smart Phones, PAD and other Bluetooth-enabled Devices. 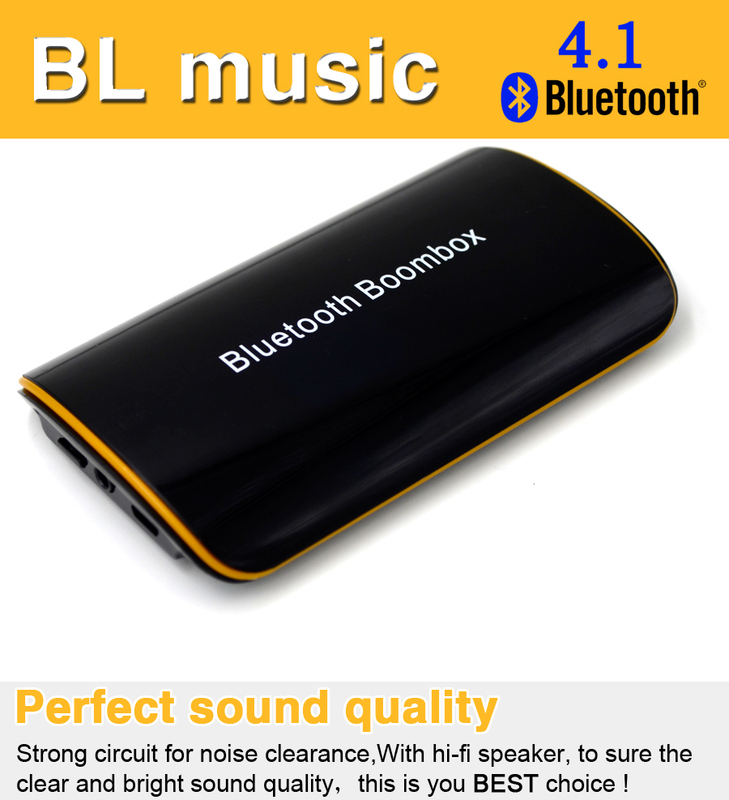 Bluetooth Version: Bluetooth 4.1 + EDR, Class 2. Support Bluetooth Protocols: AVRCP, A2DP 1.3, HFP, HFP1.6, HSP1.2, SPPV1.2. Output Connection Way: 3.5mm Stereo Interface.